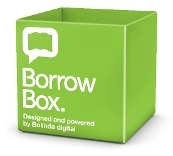 You can now experience the world of eBooks and eTalking Books together using BorrowBox. Register once and download eBooks or eTalking Books to your device using the BorrowBox app. You can borrow or reserve up to six eBooks for free from the West Lothian eBooks site, and download them to a wide variety of devices. You can borrow eBooks for 21 days but you can return your eBook early to release the credit and borrow another eBook. eBooks can be download to an eBook reader, tablet, smart phone, computer and laptop. They cannot be downloaded to the Kindle reader due to Amazon's policy, but can be downloaded to a Kindle Fire. You can also search and download eBooks using the West Lothian - Online Catalogue. The library services aims to have a varied selection of eBooks available to our customers. We have moved to a new provider over the last few months and plan to add more content to increase the collection on a monthly basis. As we operate within a small budget stock suggestions can be made by emailing library.info@westlothian.gov.uk. Please give details of the book you would like to suggest and why you feel it would be a worthwhile addition to stock. All recommendations will be considered, but it may not be possible to purchase all suggested items. Check out the latest eBook titles available this month. New eBooks [335kb]. This month's eBook of the month is The Mystery of Three Quarters by bestselling author Sophie Hannah. Hercule Poirot returns in a stylish mystery set in 1930's London. Two strangers confront Poirot claiming he sent them letters accusing them of the murder of an unknown man named Barnabas Pandy. Who sent the letters on Poirot's behalf and was Pandy murdered as they claim? Can Hercule Poirot solve the Mystery of Three Quarters? The RNIB website has some helpful information available on eBooks and digital reading.